The mental health effects of disasters and terror events can be severe, and are most effectively characterized as differing stress reactions with psychological consequences. Empirical studies show that addressing these consequences requires a staged approach to care. 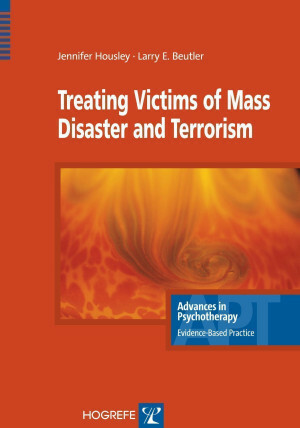 This volume, written by leading experts, provides professionals with practical, evidence-based guidance on diagnosis and treatment following disaster and terrorist events – and does so in a uniquely “reader-friendly” manner. It is both a compact “how-to” reference, for use by professional clinicians, as well as an ideal educational resource for students and professionals and for practice-oriented continuing education. The unique feature of the book is that it outlines a staged approach for post-disaster mental health care, based on empirically supported principles of treatments that work. Practical and reader-friendly, it is a compact and easy-to-follow guide covering all aspects that are relevant in real-life. "The book appropriately gives an exhaustive review of the terms and definitions, comorbidities, and diagnostic approaches. Readers will be impressed with the substantial discussion on various treatment modalities as well as the case vignettes which nicely emphasize key points. This is a strong and timely addition to the field." "...a significant contribution to the treatment of survivors of disasters and terrorism... a valued resource for those interested in disaster mental health... a great deal of information in a short amount of space... very informative and easy to follow." "In this comprehensive and clinically useful book, Housley and Beutler provide invaluable information that will guide practitioners wanting to know how they can help people in grave distress and crisis. The authors artfully tweak general state-of-the-art consensus-driven mental health practice recommendations to the unique exigencies of the aftermath of mass violence and disasters. This well-referenced and well-researched book is an excellent resource." "This book represents an outstanding contribution to the field of disaster mental health. At a time when national interest centers around providing practical, evidenced-based interventions for survivors of mass disaster and terrorism, the authors have designed a clear and concise 3-stage approach. Written in an easy to read, user-friendly format, guidelines, tools and principles are set forth which can easily be applied to a variety of settings by various professionals. Identification of who will need and benefit from intervention is detailed along with a description of the types of interventions that may be most effective. This work is an extraordinary enterprise bringing together outstanding experts in the field who have identified a set of empirically derived principles of change rather than a discrete therapeutic model. Building treatment around these principles with strategies that have been tested and researched provides a unique approach with the likelihood of increased effectiveness. This immensely valuable book should serve as a superb reference both for clinicians who serve in the field and for response organizations that have the responsibility of training and updating responders on strategies for early intervention."